Since I’m no expert on science, full stop, and since I’m not scholarly enough to hold a scientific view on the authenticity or otherwise of the shroud, I’ll be interested to read what others say on this topic. 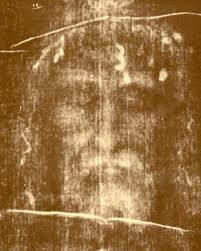 We’re not afraid of the truth here… if the evidence shows that the shroud is not authentic, it makes no difference whatsoever to our Faith. So, why would Cardinal Dolan suppress information which may cast light on the subject, one way or the other? Whatever happened to “dialogue”?